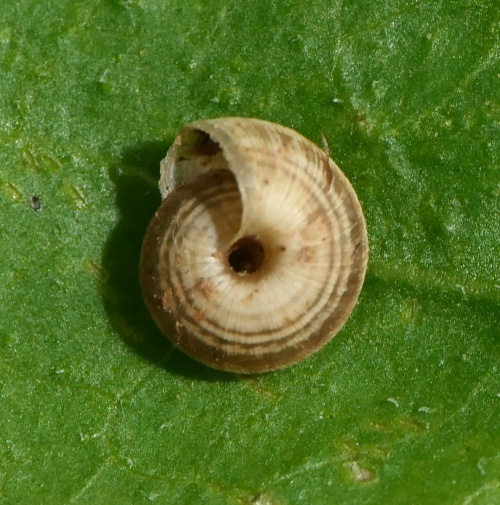 7-13mm diameter. Whitish, or yellowish white, shell marked with darker bands and spots. 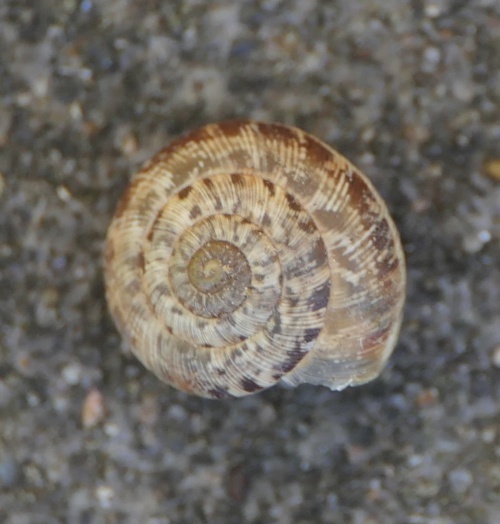 It has a large and deep umbilicus and has rough striations on the shell. 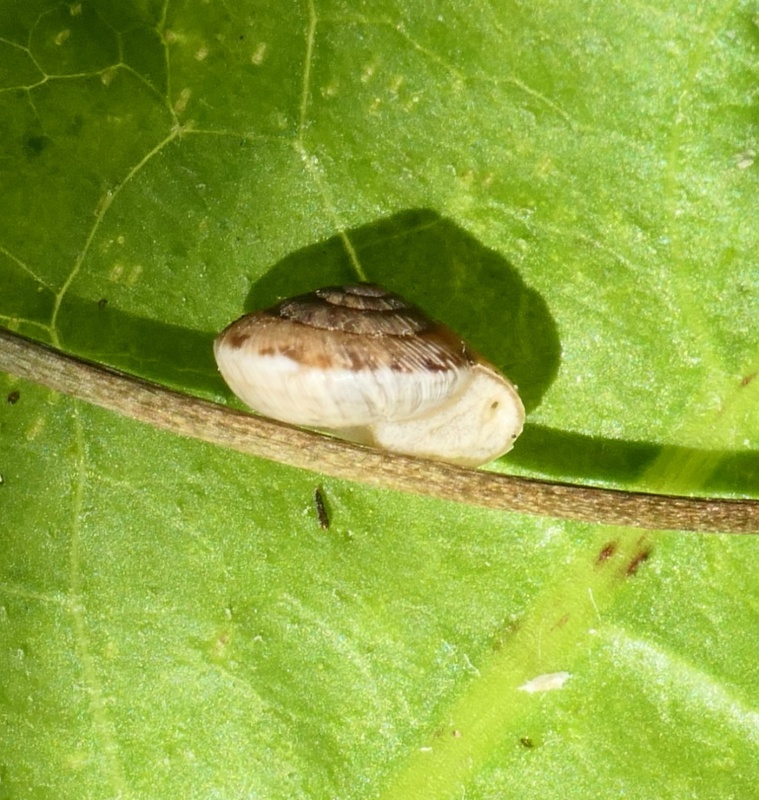 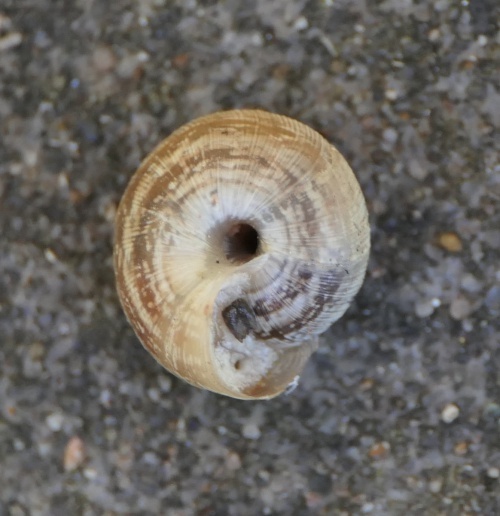 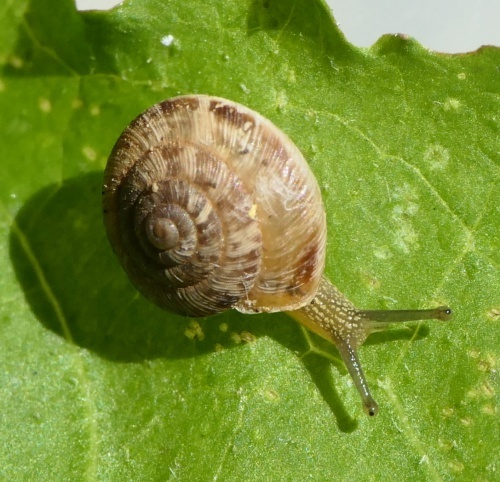 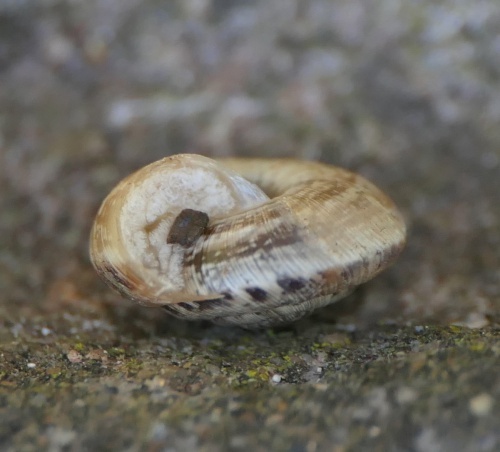 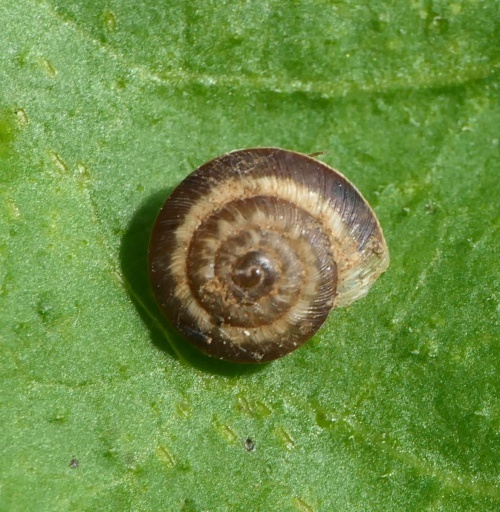 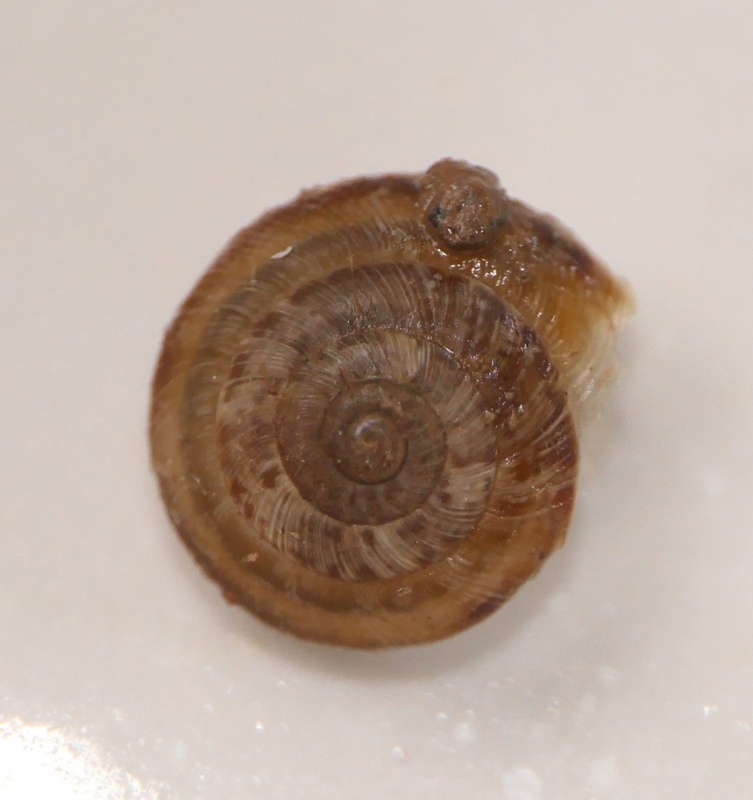 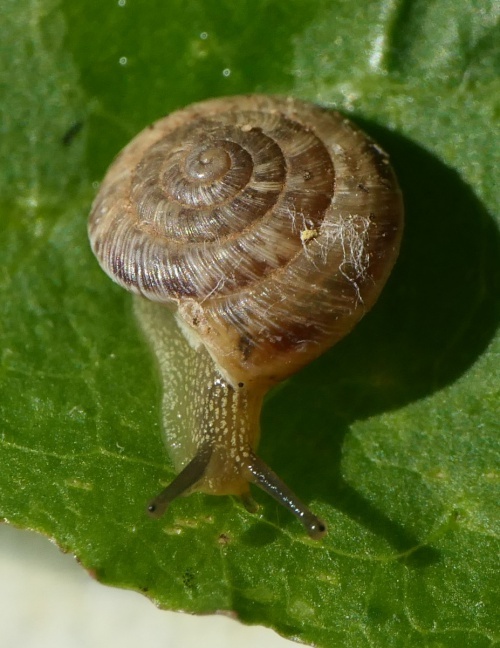 Candidula gigaxi is a similar size and with similar markings but the whorls form more of a stepped profile. 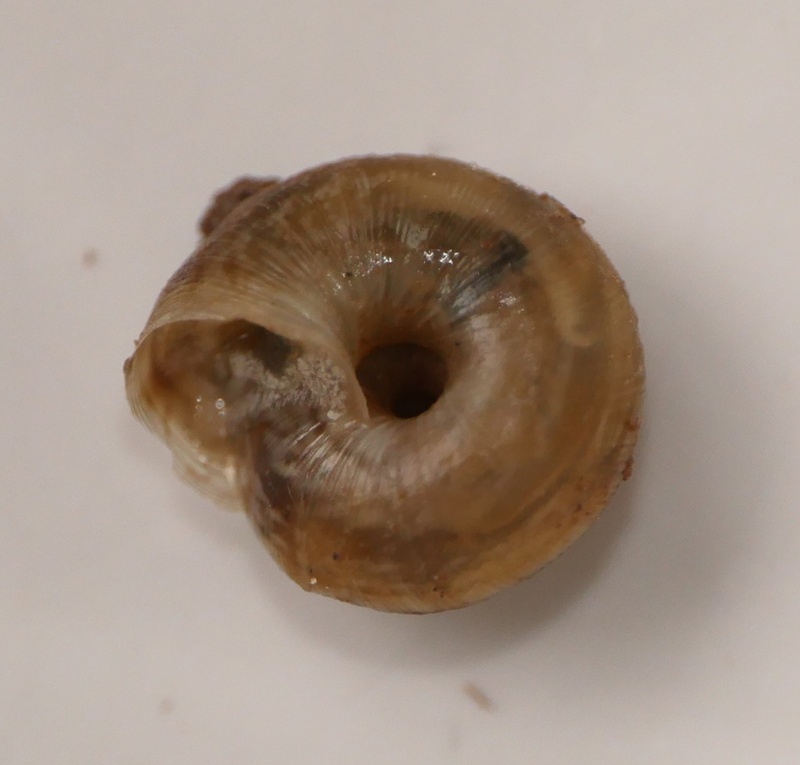 Banded forms of Candidula may also be confused with Cernuella virgata, but Cernuella is almost globular in shape whereas Candidula is relatively flattened in comparison. Dry habitats, often in dunes and calcareous grassland. 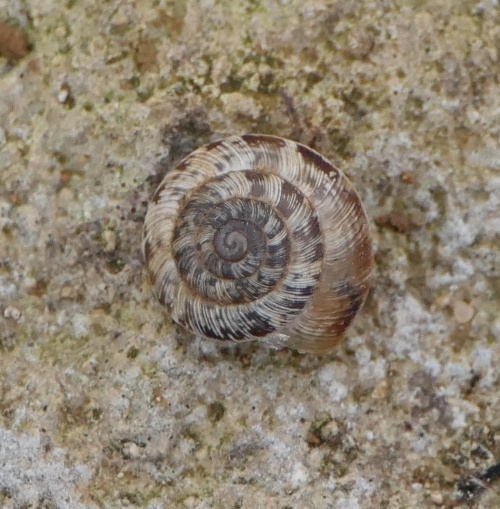 Often in exposed places. 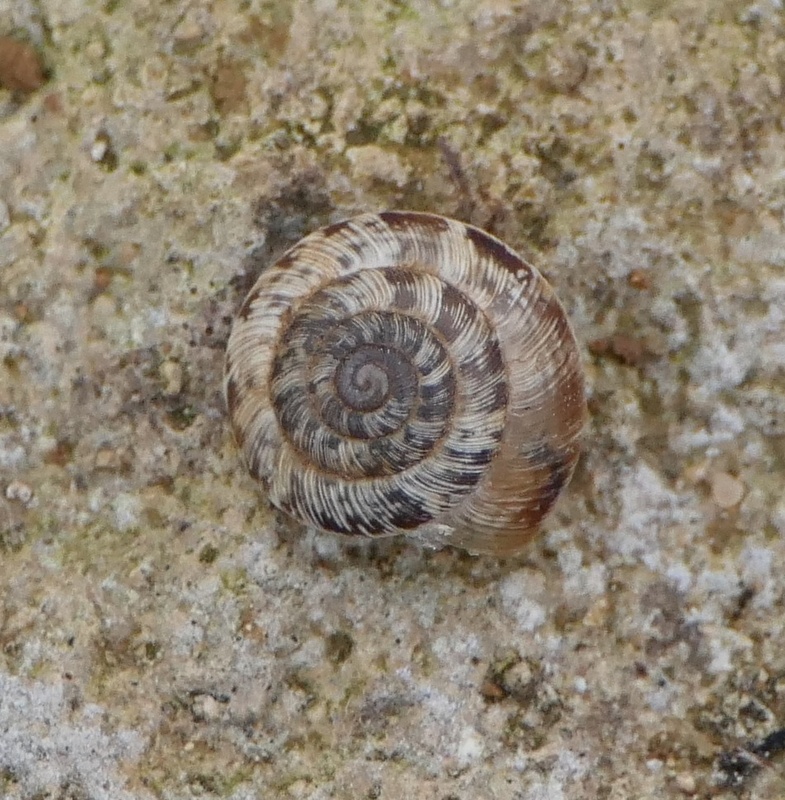 Uncommon in Leicestershire and found mainly at calcareous sites of Rutland.